L-Email is a very known and trusted company. I can guarantee that you will be getting what they show. Their quality is also great and worth every amount you pay for. L-Email’s service is one of the best. The shipment arrived really fast. It took around 5 days since they said they’ll send it and it was delivered straight to our door. As you can see, the wig looks very similar regardless of what you do. Even when subjected to flash, the wig will not change its color or look like a cheap party wig. This is a trait common to all of L-Email’s wigs. Their wigs are also very smooth and easy to untangle. I very much recommend getting wigs from them because of these. The wig looks a bit lighter than the stock photo. I thought it would be a light golden blond but it turned out to be a beautiful pale or platinum blond wig. 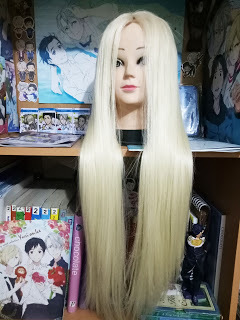 I personally think that its color is better but I was looking for a wig like Yuri Plisetsky‘s color so it was a bit disappointing. The wig is not annoyingly shiny. It has the right amount of shine that prevents it from looking too cheap ,irritating ,dull and boring. It looks good enough to be passable as a foreigner’s hair color from a far. The wig is super smooth, and very manageable. You can easily run your fingers through their strands. The wig is a bit on the light and thin side. However, it barely shreds so it makes up for having less volume! For a LACE FRONT wig like this, I think it is very worth the price. Most wigs like these would cost twice or trice more without shipping. I’d definitely chose this over anything else! Of course, this is my first lace front wig so I do not have anything to compare to but I put my trust on L-Email. 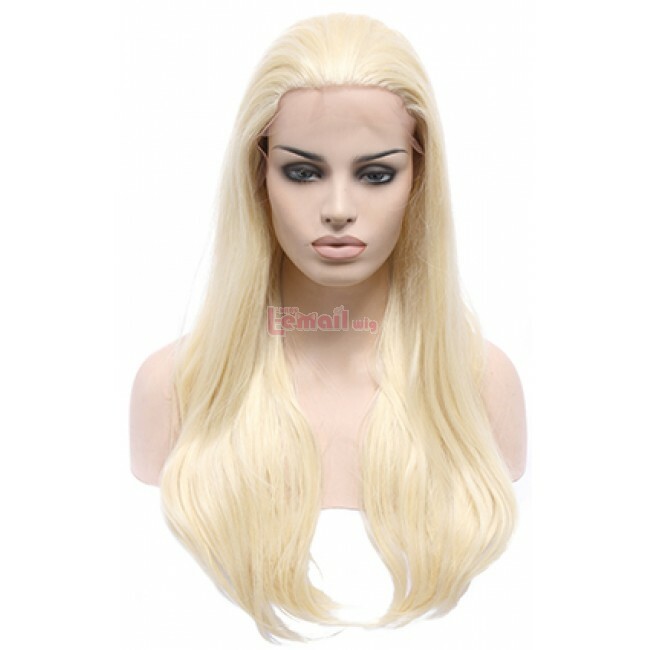 I am extremely pleased with the quality of this lace front wig It is a great first experience and it certainly made me more interested in their kind. I might try buying somewhere else for other colors they do not have but if they have what you’re looking for, buy from them. 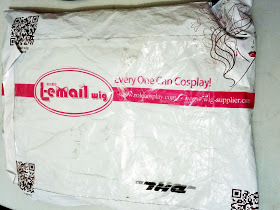 This entry was posted in Synthetic Lace Wig, Wigs and tagged lace wigs, lacefrontwigs, lemailwig, review.